Convicted criminal Skylar Hart is determined to salvage her reputation. 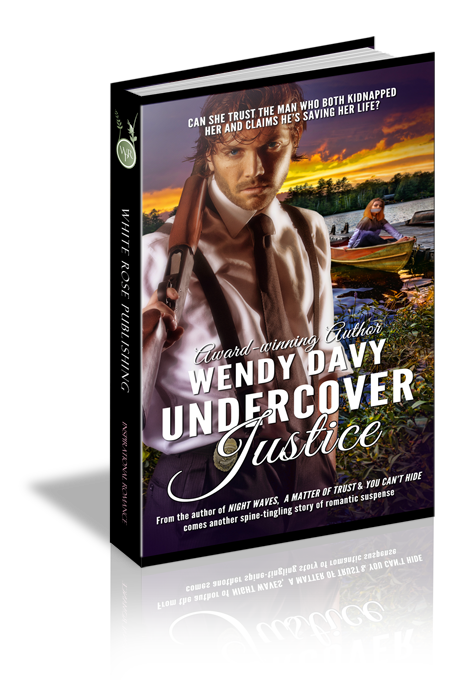 When evidence of a crime points in her direction, she fears she will be the prime suspect. As Skylar sets out to prove her innocence, she becomes an unwilling participant in a deadly game of chance, and finds herself tossed into the arms of the one man who has the power to bury her or to save her. Security specialist Slade Marshal is determined to gather evidence against the thief who wreaked havoc on his family. When a case of mistaken identity jeopardizes Slade’s covert operation, he fears his chance of putting the monster behind bars may be short-lived. As he sets out to complete his mission, he finds himself at the mercy of the one woman who has the power to impede his plans, or bring him to victory. Breathless, Skylar Hart stared at the computer screen. She refreshed the online banking web page. Same results. This wasn’t a hoax. The transaction was real. The money set aside for the women’s shelter was gone—all of it. To make matters worse, the account fraud had originated from her office computer’s IP address. She would be the prime suspect. How could God allow this to happen? She had given her life to Christ. She was His now. Weren’t things supposed to be easy for Christians? Lord, why now? I was so close to earning a solid reputation. Skylar’s heart thudded fast and loud as she scanned the office building’s fifth floor. At half past nine on a Friday night the other employees at her uncle’s real estate firm were long gone. She’d stayed late to tie up loose ends before the weekend. The last item on her list, processing Uncle Winston’s monthly charity donation, should’ve taken only a few minutes, and it would have if not for finding the savings account compromised. What would the shelter do without the funds? What would her uncle think? He’d trusted her when others had shunned. But, would he believe her to be trustworthy after this? If not, the authorities would follow the path of least resistance. Why would they bother to search for the true thief when they had a perfectly good suspect thrown into their path? Her head began to throb. The backs of her eyes burned. Skylar straightened her spine and blinked away tears. She had to contact Uncle Winston, convince him she had nothing to do with the missing money. Then, he could direct the authorities toward finding the real culprit. Skylar shut off her computer and pulled on her jacket. Thanks to casual Fridays, she sprinted across the floor in sneakers, the commercial gray-and-burgundy carpet silencing her footsteps. The phone rang at her desk. The unexpected sound jarred her frazzled nerves. No. She had to go. She approached the elevator, finger shaking as she punched the down button. The light glowed within, but she pressed the control a second time. How had things gone so wrong? Moving to Forest Lake was supposed to be a respite from her past; and it had been. Until now. The elevator chimed, and the doors opened. She rode to the lobby and exited into the foyer. Florescent lights reflected off the polished tile floor, and a colorful flower arrangement adorned a pedestal in the room’s center. The security desk flanking the entrance stood empty, the security televisions turned off. Was she alone in the entire building? She hastened her steps, glancing toward the darkness which loomed beyond the floor-to-ceiling windows. Shivers wracked her body and hairs stood on end as if someone was lurking beyond the main doors, watching. Had the thief come to silence her? No one could possibly know she’d discovered the missing money. Could they? Shaking off her unease, Skylar hurried across the wide open space and shoved through the double doors. As she stepped onto the sidewalk, Virginia’s crisp autumn air surrounded her, and she zipped her jacket. The doors closed behind her, the automatic locks engaging. She scanned the dark, wet streets. When had it rained? Puddles formed on the black asphalt and overhead streetlamps reflected off the placid surfaces. Headlights speared the night as a full-sized cargo van cruised along the street. Tempted to rush across to the parking garage before the vehicle approached, Skylar stepped off the curb, but then thought better. She retreated and paced the sidewalk. The driver applied the brakes, and the van slowed. Her patience thinned. Couldn’t they see she was in a hurry? Skylar waved them on but instead of continuing past, the van pulled to the curb and stopped. The throaty exhaust rumbled as the engine idled. Tinted windows concealed its occupants and instincts urged her to take precautionary measures. She took a few steps back, clutching her purse. The side door swung open. A tall, dark clad figure sprang out, his combat boots splashing into a deep puddle as he lunged forward. Skylar turned and dove toward the building. The man gained ground, fast, his heavy footsteps approaching without mercy. He was close. Too close. She drew in a breath to cry for help. His gangly arm encircled her neck, pressing tight and cutting off her emerging scream. His scent—a pungent combination of sweat and grease—assaulted her. Skylar threw an elbow into his gut and reared back her head. He grunted as her skull connected with his face. He was stronger than he looked; he held tight, dragging her toward the van as he spewed foul words. Adrenaline surged. She fought. Twisting. Striking. Kicking. She tried to dig into her purse for pepper spray, but the bag slipped and smashed onto the sidewalk. She wrenched toward it, but the man held tight. Inch by inch, he hauled her closer to the vehicle. Wet concrete hampered her efforts to dig in her heels. Panic, raw and intense consumed her as her abductor climbed inside, pulled her in behind him, and then shoved her deep into the interior. Darkness swallowed her as she fell backward onto the van’s cold, corrugated steel floor. Pain erupted, shooting up her backside and into her spine. Skylar gasped for breath as she took quick inventory: One driver. One assailant. One open door. Freedom lay only a few feet away. She fisted her hands, preparing to fight her way out. As if anticipating her thoughts, the man’s eyes narrowed into slits and then his gaze travelled over her shoulder. “Hold onto her. I’ll get her purse.” He disappeared outside. The air shifted behind her. Masculine, rugged aftershave filled the chasm surrounding her—she wasn’t alone in the back after all. Outnumbered by at least three to one, she’d miscalculated her odds. In a final, fleeting attempt she lunged for the door but rock-solid arms wrapped around her shoulders preventing escape. Question 1: After being convicted of theft, Skylar is determined to salvage her reputation. At first she focuses primarily on what others think of her, rather than what God thinks. She ends up concluding that God's opinion is the only one that truly matters. Do you agree? Question 2: Although Skylar has asked God for forgiveness, she struggles with accepting that He has really forgiven her. Do you accept God's forgiveness at face value? Or, do you still feel as if you have to earn it? Question 3: When Skylar needs his protection, Slade does not hesitate to do what he can to save her, even though keeping Skylar safe might jeopardize his cover. What are you willing to sacrifice to help someone else in need? Question 4: Skylar learns to trust Slade when he lets her into his personal life. How do you learn to trust someone? Question 5: Slade and Skylar's worlds collide in a fast-paced twenty-four hour journey that leads them to believe they are meant to be together. Do you believe in love at first sight? Has it happened to you? Fast paced, excellent read. Action starts from page one with plenty of twists along the way.